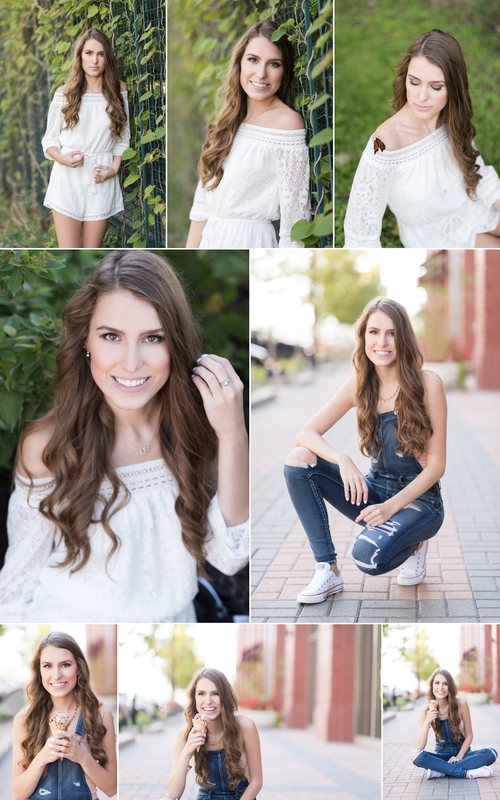 How many people, let alone high school seniors, can say they had a BRAND NEW just emerged from it’s cocoon butterfly at and in their senior pictures? 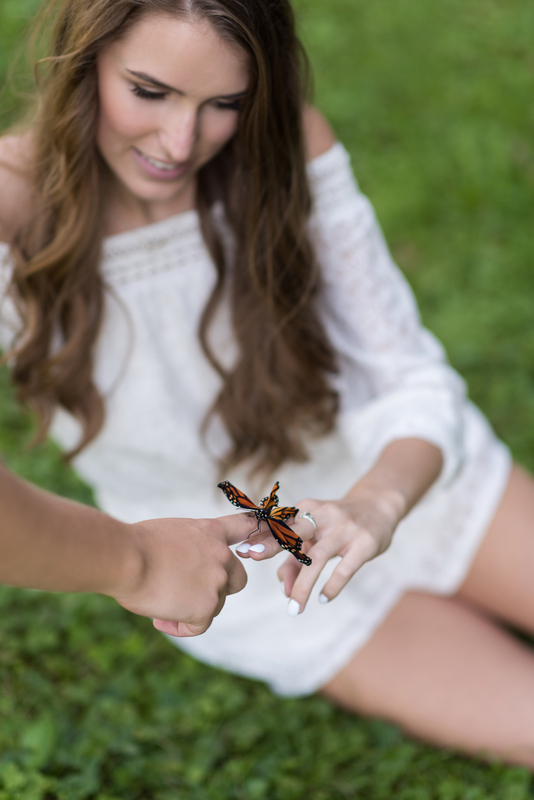 It was the most amazing thing to see, so much so that we all tolerated the pesky mosquitos to get several pictures of Ashley with the butterfly on her finger and on her shoulder. Her boyfriend found it while we were discussing the shots we were about to shoot. It was magical and so very cool. Below are a few more from Miss Ashley’s session. Stripes!! A beautiful way to add texture to your outfit. And how about mom helping her twirl! A Butterfly and a Sprinkle Cone, no wonder she is so happy! Senior pictures don’t have to be intimidating or scary. You don’t need to pose or worry about locations. I will take care of all of that for you so your images are fun and reflect who you are at this stage of your life. Let’s set up your consult and get planning your session! Contact me here.